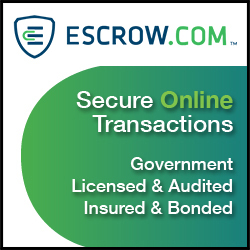 ← Escrow.com changes transaction time periods due to customer complaints. Is Netcomber a Whois on Steroids? Today, former Google search quality employee Andre Weyher has launched netcomber.com, a service that exposes hidden relationships between websites and link networks. Search engines are fully aware of who really owns what on the internet, until now, these relationships remained hidden to the general public, online marketers and SEOs. NetComber now makes this data available to everyone and the web more transparent in the process. The tool takes into account over 3000 signals like account IDs, backlink profiles and even coding style to calculate the likelihood that sites are owned by the same owner. Webmasters can hide their details through higher privacy settings in whois but NetComber uncovers these hidden relationships as whois data is only one of the many weighted factors taken into account. The tool provides unique insights for SEOs, affiliates, ad networks, marketers, as well as anyone who wants to keep an eye on the competition. The NetComber team have crawled over 200 million sites, the bulk of the internet. The user simply enters a domain name and is given back other domains that may be owned by the same people and what attributes the sites have in common, including overall similarity, account IDs, links in common and contact details. It is available via online interface and API. 2 Responses to Is Netcomber a Whois on Steroids? Just tested it out, the tool has the occasional mistake but is generally very accurate..impressive stuff. Seems like an interesting tool. Thanks for the share.